How has it managed such a feat? Slim bezels are the answer: measuring 4.4 mm on either side of the screen and a slightly thicker 8 mm at the top, the MateBook X is able to boast an incredible 88% screen-to-body ratio. It's also amazingly thin, measuring 12.5 mm from top plate to underside, stupidly light at 1.05 kg and is the first laptop in the world to have Dolby Atmos-powered speakers. 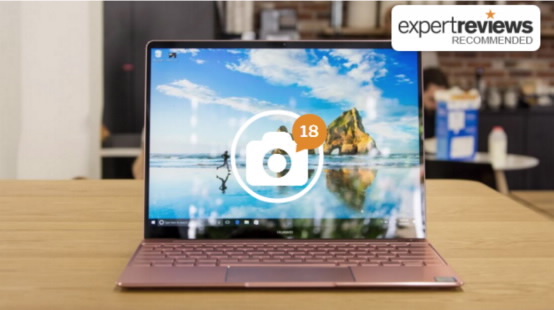 Whatever you think of the MateBook X, there’s no doubt it’s an impressive first stab at a laptop. It’s almost as thin and light as the Apple MacBook, yet boasts a larger 13in display and a more powerful processor. Battery life is excellent, the screen is sumptuous, the ergonomics spot on and the speakers are incredible. However, if you absolutely must have that extra inch of screen real estate, the MateBook X is hard to beat. It’s a rather lovely, ultraportable 13in laptop.